Molecular evidence suggests a rapid diversification of birds following the asteroid impact that triggered the Cretaceous-Paleogene (K-Pg) mass extinction 66 million years ago. Many vertebrate groups were completely wiped out in this extinction, including non-avian dinosaurs, pterosaurs, and plesiosaurs. Birds and mammals survived, and understanding how they recovered is a major question in vertebrate paleontology. 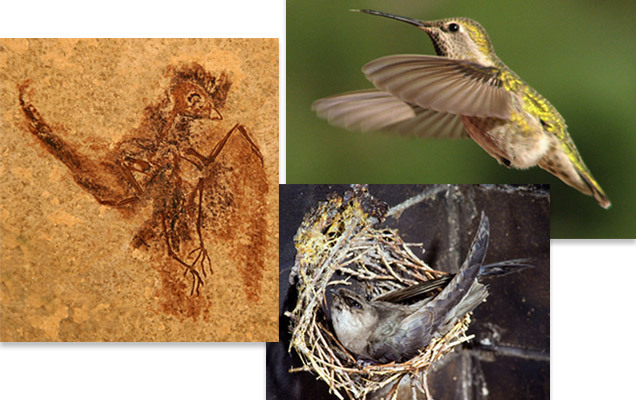 We recently reported a previously undocumented arboreal bird species, Tsidiiyazhi abini from a 62.5 million year old rock layer in the Nacimento Formation of New Mexico. 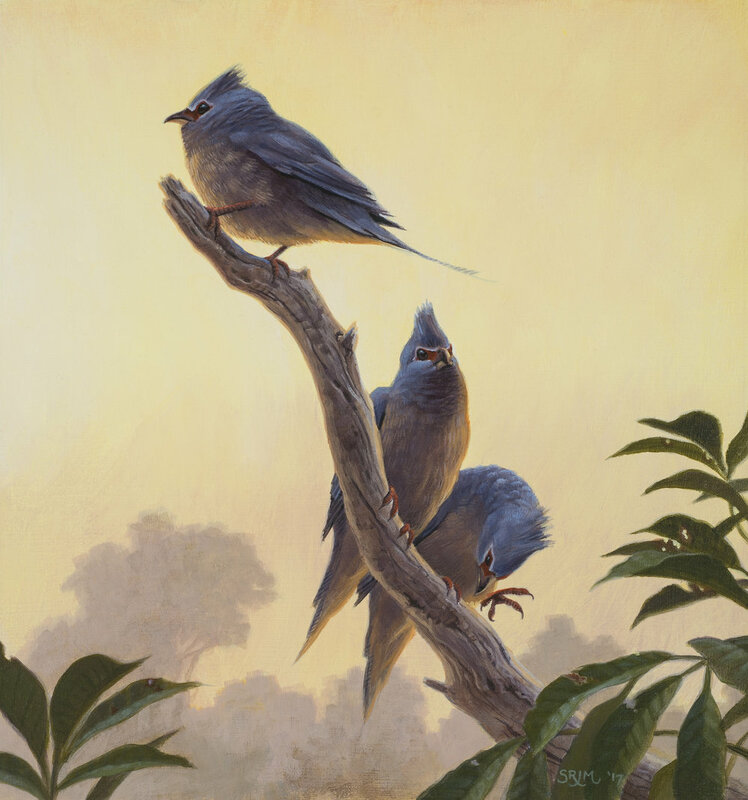 This tiny little bird lived only 3.5 million years after the mass extinction, making it one of the earliest modern birds species identified. It is furthermore the oldest known tree-dwelling bird species, providing an early glimpse at birds returning to the trees after global wildfires devastated the world’s forests in the aftermath of the K-Pg asteroid impact. Based on skeletal features Tsidiiyazhi abini appears to be a member of mousebird group Coliiformes, which are found today only in Africa. This finding is supported by phylogenetic analysis of 111 morphological features.. 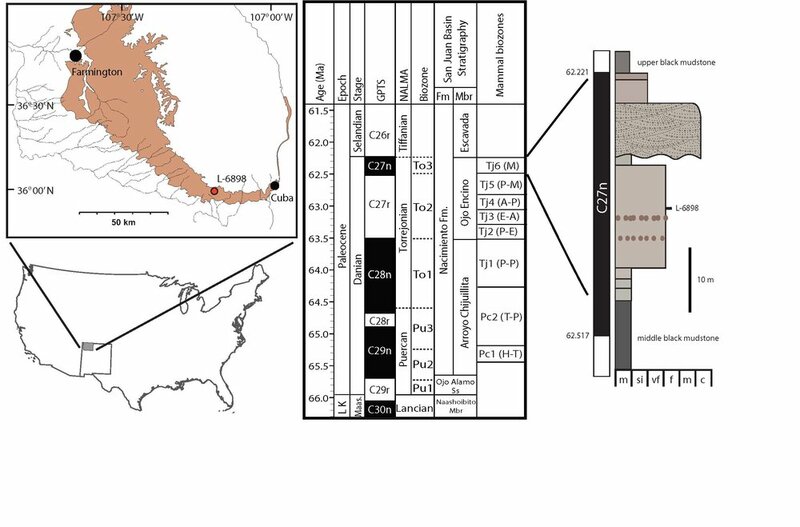 The age of the T. abini fossil and the reconstructed evolutionary relationships between major landbird lineages suggest that as many as nine major bird clades diverged within 4 million years following the K-Pg extinction. T. abini also exhibits evidence of semi-zygodactyly, a specialized foot morphology that allows the fourth toe to be reversed for stronger grasping, suggesting that evolution of such specializations arose rapidly in early modern birds..
Pelagornis sandersi is an extinct species of "bony-toothed" bird that lived in South Carolina approximately 25 million years ago. This species had a wingspan of 21 to 24 feet, making it the largest bird ever to have flown. In a paper in Proceedings of the National Academy of Sciences, I described this species and presented analyses of its potential flight capabilities. 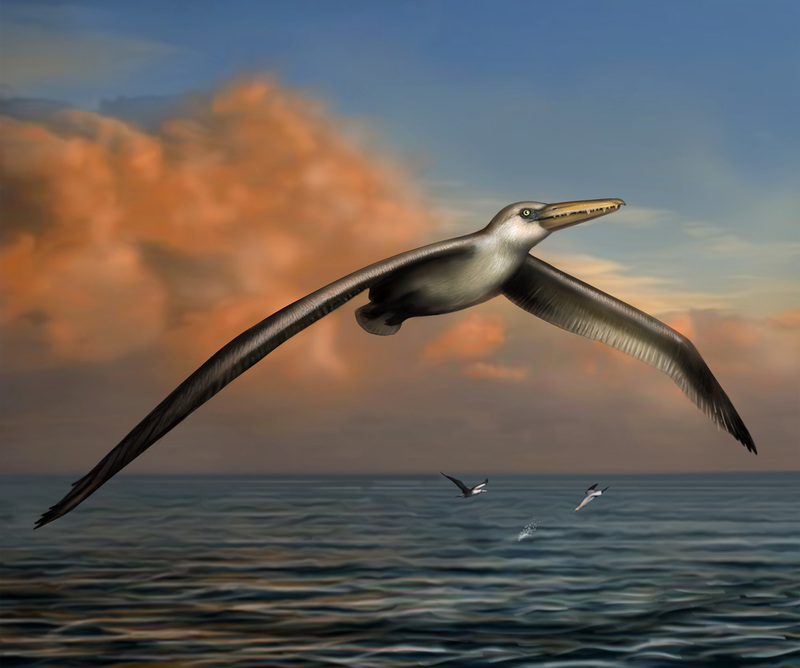 Models based on living birds suggest Pelagornis sandersi was an efficient long-distance flier similar to modern albatrosses. Blink Films has brought Pelagornis sandersi back to live in a spectacular documentary titled "Top Ten Biggest Beasts Ever" for the National Geographic Channel. See more coverage at the Wall Street Journal, Slate, National Geographic, BBC, US News and World Report, Scientific American, and Discover. Penguins have a complicated history in Africa. During the Pliocene, roughly five million years ago, four species occupied the Cape region. In previous work, Dr. Daniel Thomas and I demonstrated that these species arrived separately, taking advantage of the South Atlantic Gyre to disperse from South America. In a new study, we report Miocene African fauna over ten million years in age. These fossils show another interval of high penguin diversity and point to sea level change as a cause of their eventual decline. Only a single species lives in Africa today. See coverage at Scientific American, Live Science, and Discovery News. 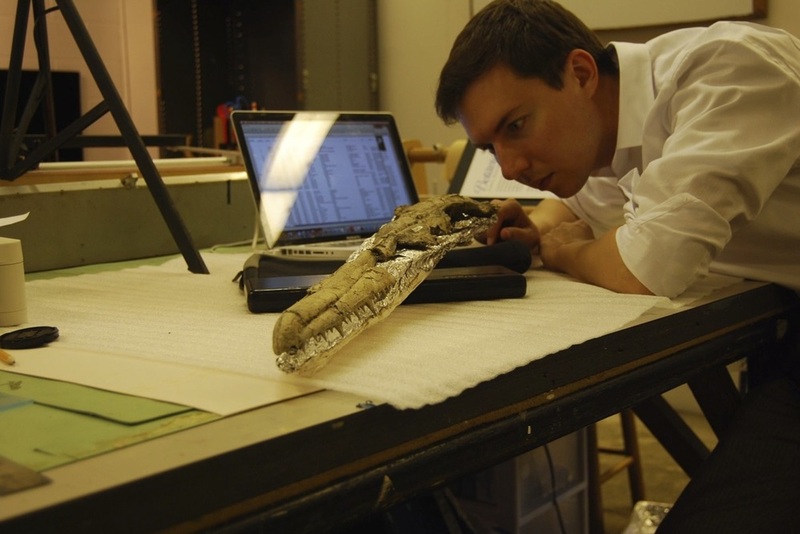 Blog coverage at March of the Fossil Penguins and Illuminating Fossils. Its always nice to share fossil penguins. Recently, a few of my favorite extinct penguin species have made it into the popular realm. Kairuku waitaki and Kairuku grebneffi, two svelte species of giant penguins, are now featured on a $5 siver coin minted in New Zealand. Inkayacu paracasensis, a species known for preserving the oldest fossil penguin feathers, has meanwhile made it onto a stamp valued at 10 Peruvian nuevo sols. Dig magazine, a fantastic kids archeology and paleontology magazine, recently published an issue on fossil penguins, with several articles written by myself and my students. 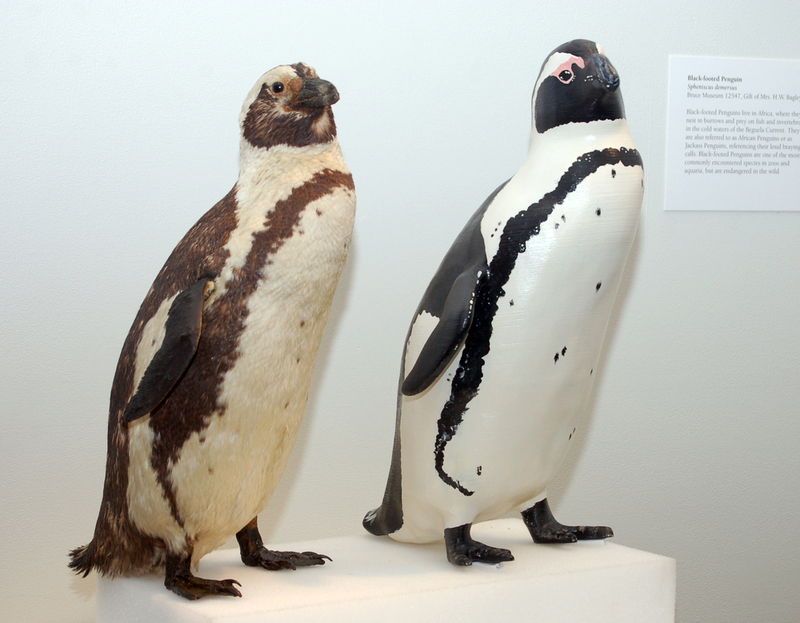 Marples (named after the New Zealand penguin paleontologists Dr. Brian Marples) is the Bruce Museum's 3D printed penguin - scanned and printed at life size from the Black-footed Penguin specimen in our collection. While he is not quite fossil, he often helps promote penguin themed events at the museum. The Green River Formation is one of the most important fossil Lagerstätten worldwide. The smallest fossil bird that has been described from the Green River is Eocypselus rowei, a primitive member of the lineage that leads to today’s hummingbirds and swifts. In a recent paper in, my co-authors and I reported details of the preserved feathers of this remarkable tiny bird. Coverage available at Science, Nature World News, Science News, CalAcademy News, and Discover. Read the paper at Proceedings of the Royal Society B.